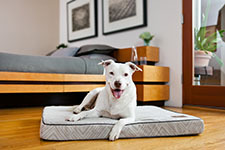 Jax & Bones Memory Foam Dog Beds are made of the highest quality materials, using foam comparable to Tempur-pedic mattresses. 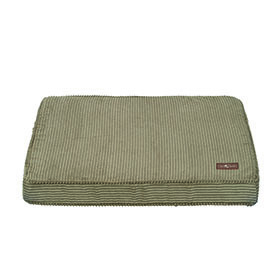 The bedmolds to your dog's body to promote a more restful sleep. Great for seniors, arthritic dogs and injuries. and waterproof, breathable liner. Corduroy hides dirt and hair. Voted most durable. NOTE: Jax and Bones beds are custom and are not returnable unless defective.